IM in OC – a huge USC fan – sat behind the Trojan bench yesterday and provided these great photos. 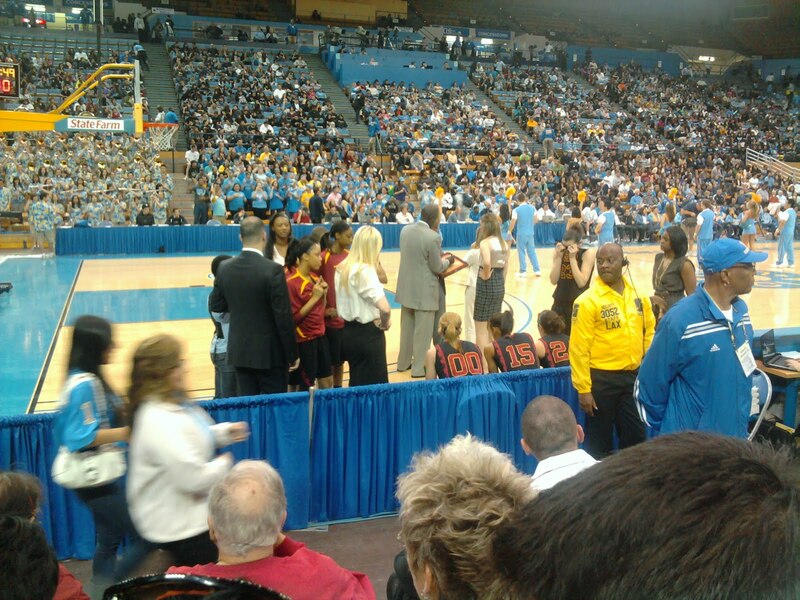 USC Coach Michael Cooper diagrams a play at a timeout. 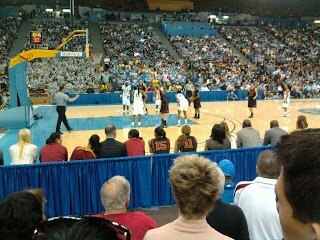 Len’Nique Brown at the free throw line in the second half. 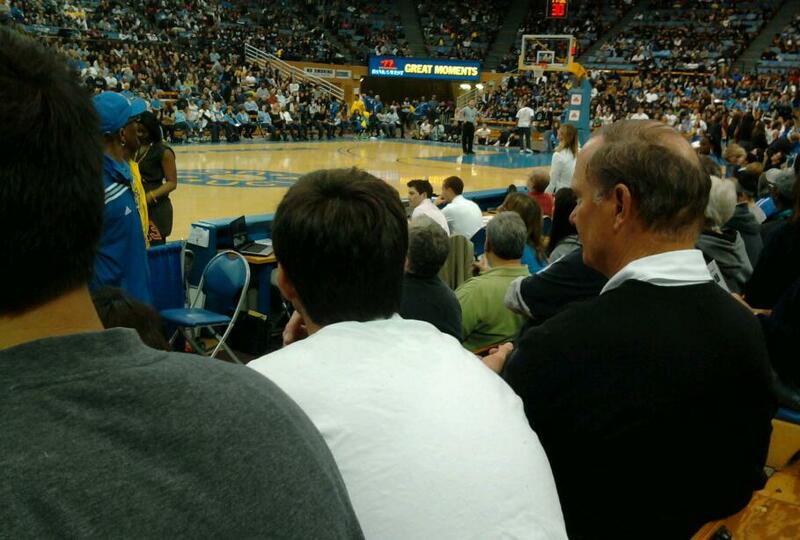 USC’s new athletic director, Pat Haden, takes in the game. Only one surprise in the California high school basketball championships…..